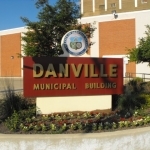 Danville voters have overwhelmingly defeated a proposal to change to the city manager form of government. Fifty-nine percent of the voters in Tuesday’s election voted against the proposed change. Danville’s new acting mayor – Rickey Williams Jr. – was pleased with the outcome…. Proponents had claimed Danville needs someone at the helm with a financial background. Danville City Council member Lloyd Randle was one of those who had spoke out against the proposed change…. There was no immediate word on whether those who favor the change will try again to get it approved.